A pervert who molested a six year old girl after he had lured her under a blanket with the pretence of watching a movie has been caged for 12 years. 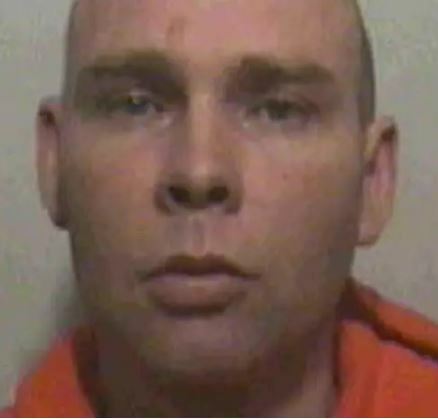 Kieran Curran, 40, now of Hilary Road, Newbridge, Wales, attacked the Fleetwood girl when she was as young as six, Preston Crown Court heard. Prosecuting, Joe Allman said in September 2014, when the victim was older, he started to send her messages of a sexual nature on her mobile phone. His sickening crimes came to light when the youngster, who cannot be identified for legal reasons, confided in her friends and teachers at her school in Fleetwood two months after the messages started, prompting an investigation. Nottingham-born Curran, who worked for a catering distribution company, pleaded guilty to three counts of assaulting a child under 13 and inciting a child to engage in sexual activity. Judge Graham Knowles QC ordered Curran to serve an extra year on licence after his release and imposed an indefinite restraining order and sexual harm prevention order.